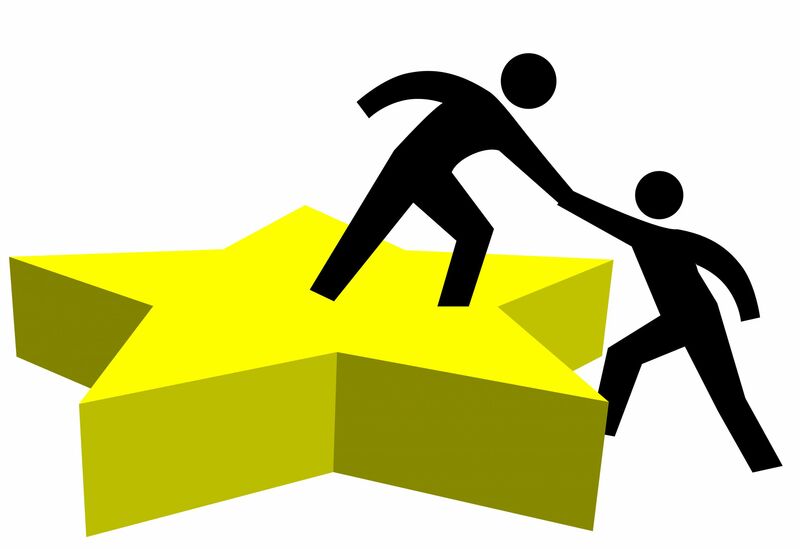 You are struggling to get a piece of work or a task finished in time and a friend or colleague offers to help you out. You say no thanks, I’m fine. Or someone who knows you have a lot on at the moment offers to do more than their share of the school run. You say I can still do my bit, thanks. This type of exchange leaves you feeling a bit nettled and makes the person who offered to help feel rebuffed. It could be a matter of pride. We think that if we accept a favour, such as an offer to help with a work project, or with choosing a gift for someone, or with arranging an event, we are acknowledging that we can’t do it ourselves. You might see accepting help as a sign of weakness. Or perhaps you are wary of becoming indebted to the person who is helping you. There may be particular contexts in which you find it difficult to let people help you. Perhaps you can rope in loads of people to help when it comes to raising funds for charity, or arranging a special event for a friend or family member, but find it hard to accept help in your personal life. Allowing someone to help you does not mean that you are declaring your incompetence, your inability to act independently, your total uselessness and your need for support in every aspect of your life. It means that you can make good choices about sharing time and expertise. Your sense of self-worth is not based on being able to do everything yourself. Giving and receiving help is part of our healthy relationships with each other. Being able to give but not take is as limiting and damaging as being able to take but not give. Allowing someone to help you makes them feel good. You might have done it with youngsters, who enjoyed ‘helping’ you with tasks. Well, you can do the same in your grown-up life, but without the element of pretence. Imagine that you, a person of female gender, are travelling on a crowded bus, tube, train, whatever. You are standing because all the seats are taken. You may or may not be obviously pregnant, be laden with packages and parcels, be young, be not so young, be wearing knock-them-dead heels or be wearing sensible flatties. The details are not important. A person of male gender offers you a seat. Do I look as if I can’t stand up? I must be looking really old. Better get a new lip gloss. Why did he pick on me? Hasn’t he heard of equality? Is this why we fought for the right to vote and own our own houses? Before we continue, let’s pause and hope that you did not actually say any of the above. But your rejection of the offer, however you put it, may sound abrupt and dismissive. The consequence of this is that the person may feel rebuffed and decide not to make that kind of offer in the future. The result is a little blow to the cause of human connection, a little dent in the confidence we need to help us interact generously and thoughtfully. On the other hand, you could recognise that someone, a fellow person, is being a thoughtful, kind, human being, and say thank you. The consequence is a boost for human interaction, and the result could be more far-reaching than you will ever know. And just imagine that there travelling right beside you is a young person, one who is just finding his way in the world of grown-up communication. What a good model this positive encounter will provide for our YP, who will see that offering and accepting help graciously enhances our public lives and relationships. The same principle can apply when someone opens a door for you, or moves out of your way in the street or corridor. People who make these gestures of consideration are showing sensitivity to the rhythms and waves of movements in shared spaces. There is no rule that says you have to hold the door open as you leave a shop, for example, so that the person right behind you can come through. There is no rule that says you have to move out of the way if you are walking much more slowly than the person behind you. But it’s nice when people do these things. And it’s nice to thank them. The first thing is to notice it, to be aware of the actions of those who share our space, if only fleetingly. The second thing is to acknowledge the gesture. You could say thank you, you could give a brief smile and a nod. These are the little interactions which oil the wheels of communication. Assume that the offer is genuine and that the person has no intention of belittling or criticising you. I appreciate the offer, but I won’t be taking it up right now. Thanks for offering, but I’m happy with the arrangements I’ve made. That’s a nice offer, but I feel it’s all in hand. Speak in a friendly tone. You might spot a hidden agenda behind the offer. Someone might be trying to shake your confidence in your own ability, or have some other ulterior motive. Thanks, but I think I can finish it/pay for it/do it/arrange it by myself. (Pause) What is it that makes you think I can’t? Lean on me, said Bill Withers. Lean on me when you’re not strong, for it won’t be long till I’m gonna need somebody to lean on. You got it, Bill.